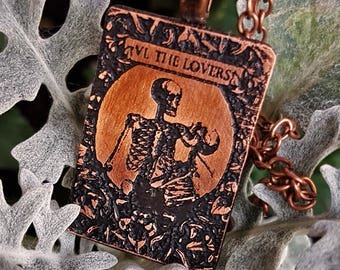 Announcement Home of the finest cruelty-free rat and bird skull jewelry, copper and silver anatomical and ouija board necklaces, and steampunk assemblage pieces. I love Victorian and art nouveau designs, and you'll see a strong reliquary and memento mori influence throughout most of my work. In "Skulls and animal parts," you'll find my rat skull necklaces, bird skull jewelry, and assemblage pieces made of tiny bones and watch parts. 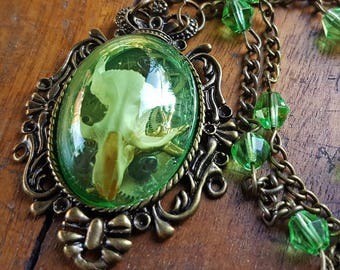 Most of the pieces in here are shadowboxes, but I am one of the few Etsy sellers to treat her eggshell-thin skulls and bones with museum-quality resins to strengthen them, so you may find some pieces that don't need to be protected under a shadowbox dome. In "Steampunk/Antique look," you'll find a lot of jewelry made from found objects, such as vintage game pieces, coins, tokens, and clock gears and parts. 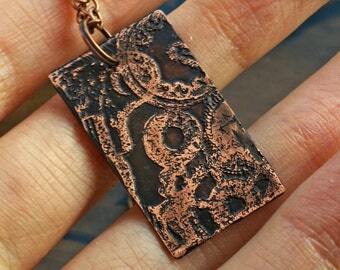 I like to take old bits of brass--cogs and keyplates--and bring them new life by chemically etching designs into them. 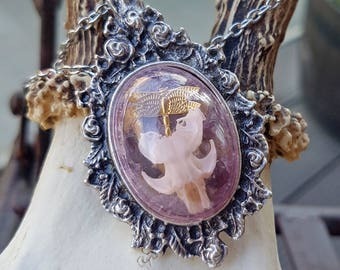 I favor anatomical and natural history themes. 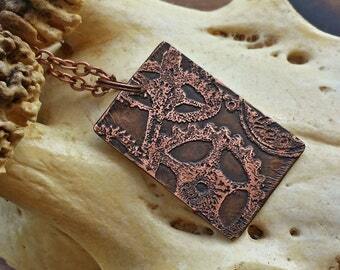 In "Copper Occult & Anatomy," I keep my hand-cut and etched solid copper pendants. Here I express my love of medical illustrations and the supernatural with lots of skulls, skeletons, cryptids, tarot cards, and ouija boards. 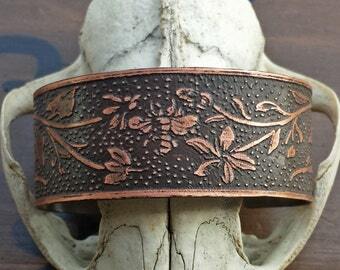 Home of the finest cruelty-free rat and bird skull jewelry, copper and silver anatomical and ouija board necklaces, and steampunk assemblage pieces. I love Victorian and art nouveau designs, and you'll see a strong reliquary and memento mori influence throughout most of my work. It is very good quality and lovely. It just does not fit me. Definitely not designed for guys. I will end up giving it as a gift. 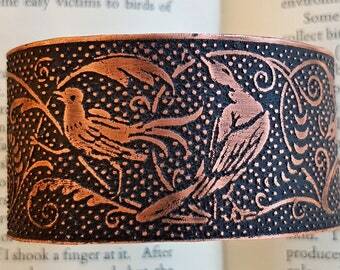 This is my second bracelet and it is just as gorgeous as the first!!! 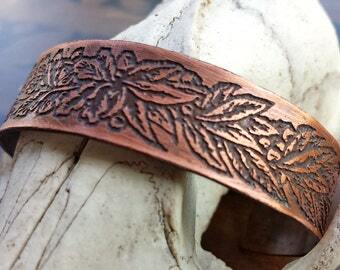 I contacted the shop about a custom bracelet for my smaller wrist, and am thrilled with the results! After providing my wrist measurements she suggested a size, which I'm going to be honest, I though needed to be smaller. Glad I trusted her, because it fits PERFECT -- this lady knows what she's doing! Here are the final ordering dates for Christmas delivery. This season I'm offering free shipping on domestic orders over £50 and international orders over £80 so you can make a real dent in your list! Last day for our Cyber Weekend sale! 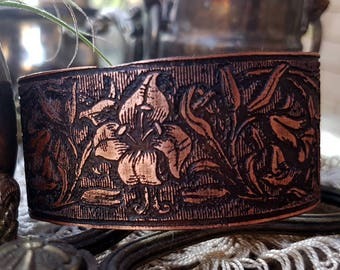 All copper jewelry is 20% off, including sale pieces. Today is your last chance to get 20% off your order, and tomorrow is the final day Royal Mail offers Christmas delivery to the US. Better get shopping! Cheshworth's Fancy Goods was initially launched in early 2010 in the Pacific Northwest, purely to provide me with a little extra travel money. Eventually my sideline took over the rest of my life--there's something pretty addicting about making something with your own hands and sharing it with the rest of the world. For four years, Cheshworth's puttered along selling steampunk assemblage and shrink plastic jewelry. 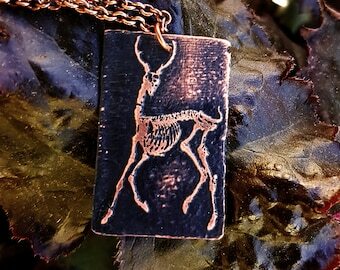 Two things changed in 2014: I moved to the UK, took a few months off, and relaunched in June; and I started chemically etching copper. The process creates truly unique jewelry out of the rawest of materials, and I'm thrilled to explore this new frontier of creativity. I hope my new European audience will also be excited! 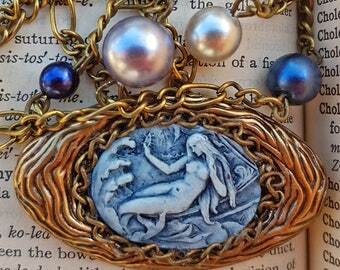 Recently transplanted from the Pacific Northwest to London, Jaime Cheshworth will make anything into jewelry once it's stopped moving. In order for me to fulfill your order, you must authorize Etsy to provide me with certain personal information. This is typically your name, email address, postal address, payment information, and the details of the product that you’re ordering. You may also provide me with additional information for custom orders at your discretion. - I share your information with a limited number of third parties, such as delivery companies, in order to provide the service you've paid for. I will share the smallest amount of information possible to this end; i.e. Royal Mail needs your name and address, but not a detailed list of everything you ordered. - I may collect, use, and share your information for legally mandated purposes, i.e. taxes and if I have a good faith belief that it is necessary in order to respond to government requests, enforce my terms and policies, prevent fraud, or protect the rights and safety of my customers. At this time I do not use any cloud services to store personal information about my customers. If I do in the future, your information may end up in a jurisdiction with different data protection and surveillance laws. Should I choose to do this, I will use a Privacy Shield certified provider for these services in order to provide a legal basis for transfer. 1. The right to receive a copy of the information I retain about you by contacting me using the contact info below. 2. The right to change, restrict my use of, or delete your personal information. On request I am happy to do any of these things for you as long as they don't infringe on my legal obligations. 3. Object to my use of your information for my legitimate interests, or to receiving marketing messages from me. I will delete your information in these circumstances, again, unless I have a legal requirement to keep it. 4. You have a right to complain to your local data protection authority about my use of your information, if you have the grounds to do so and live in the EU. I, Jaime F. Hilton, am the data controller of your personal information for the purposes of EU Data Protection Law. If you have any questions or concerns, please email me at shop@cheshworth.com. Send me a message if you'd like an item customized or designed just for you--I'd love to do it! In most cases I'm happy to take your order on and charge you once it's completed and you've seen photos of the finished product, but for heavily customized items that I will be unable to sell to anyone else should you change your mind (i.e. your name on a bracelet), I will require a deposit up-front. Please CONTACT ME, preferably by Etsy message to bypass my spam filter, if you'd like to make a return. London life necessitates a lot of moving around, and I have to make sure you'll be sending your item to the correct address. This also allows me to provide a more personal level of customer service; if, for example, you love your necklace but the clasp breaks, I think we'd both be happier if I just send you a new chain rather than making you ship the whole thing back to me for an exchange. I accept returns for any reason within 14 days of you receiving the item. If you're outside of that window, please feel free to get in touch anyway--I'll try to work something out that makes us both happy. Yes, send me a message if you'd like me to hold an item for you until you get paid. I'll hold it for up to 3 days for free and for up to two weeks in exchange for a nonrefundable 10% deposit. NO, at this time I have no brick-and-mortar customer-facing facilities. EU regulations require an address be made public to potential buyers in case anyone wants to sue me, but it's not a shopfront and for insurance and zoning reasons, I can't let you onto the premises to poke around. If you'd like to see my fancy goods in person, be notified when I have market and craft fair dates planned by adding my shop to your Etsy favorites or following me on Facebook. Why don't you accept cancellations? If I accepted cancellations within 24 hours of purchase, I would have to wait 24 hours before shipping every order I receive. As it is now, I don't have a set shipping buffer time; if you place an order the morning I intend to go to the post office, your package will ship an hour after you've paid for it. This is especially vital during busy holiday seasons. That said, if you change your mind about an item and I haven't shipped it yet, I'm happy to cancel your order. If it's already been shipped, I will take a return within 14 days of receipt, no questions asked.